This is a premium storage basket. The collapsible storage provides attractive, lightweight solution to many storage needs such as clothing storage (especially for underwear, skirt, T-shirt, jacket, pants, blue Jeans, etc. ), Toy storage, baby product's storage, pet product's storage or just to store your magazines and newspapers. This cute and stylish large storage basket is a must-have for your beautiful home! 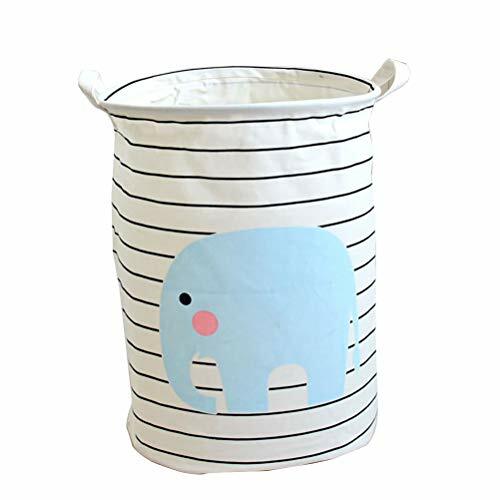 Have an organized, clutter-free play area for you kids. .
Great basket for nurseries, with enough storage space for diapers. Perfect organizer for play rooms, allowing for the storage of toys, books, blocks, stuffed animals. Chic design allows it to be used in the living room to hold throw blanket, pillows, and reading materials.